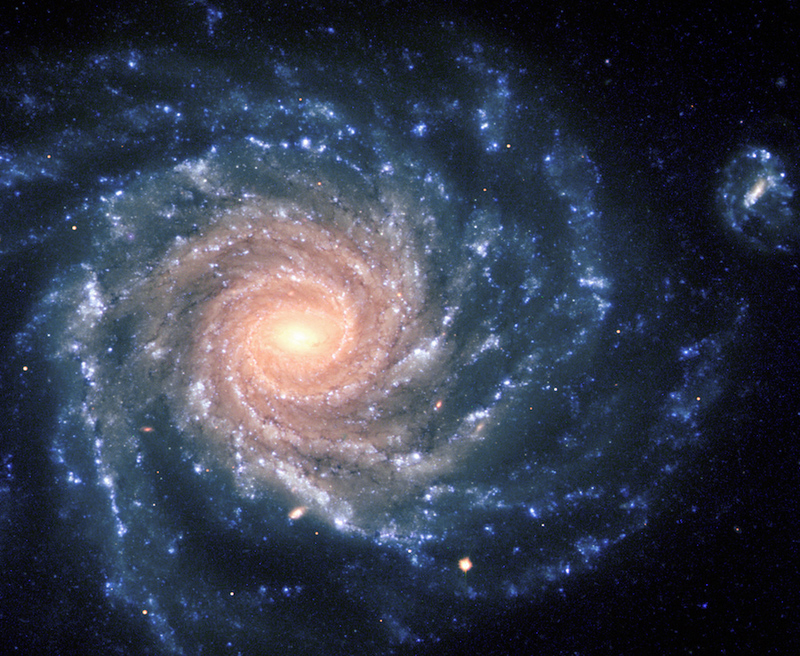 Grand spiral galaxy (NGC 1232). In a study published March 9 in The Monthly Notices of the Royal Astronomical Society, astronomers announced the discovery that all disk galaxies rotate about once every billion years, no matter their size or mass. To carry out the study, the researchers determined the radial velocities of neutral hydrogen in the outer disks of a plethora of galaxies — ranging from small dwarf irregulars to massive spirals. These galaxies differed in both size and rotational velocity by up to a factor of 30. With these velocity measurements, the researchers were able to calculate the rotational period of their sample galaxies, which led them to conclude that the outer rims of all disk galaxies take roughly a billion years to complete one rotation. However, the researchers note that further research is required to confirm the clock-like spin rate is a universal trait of disk galaxies and not just a result of selection bias. Based on theoretical models, the researchers also expected to find only sparse populations of young stars and interstellar gas on the outskirts of these galaxies. But instead, they discovered a significant population of much older stars mingling with the young stars and gas. Considering new generations of radio telescopes — like the long-anticipated Square Kilometer Array (SKA) — will produce massive amounts of data, the fact that researchers now have a good idea where a galaxy’s edge lies should also help them significantly reduce the power required to sort through such data. “When the SKA comes online in the next decade,” Meurer said, “we’ll need as much help as we can get to characterize the billions of galaxies these telescopes will soon make available to us. Astronomers discovered that all disk galaxies rotate once every billion years, no matter their size.